I like Delta MQM partner earning change! Oh Delta Points has totally lost his mind now, right? I mean, he is so in love with Delta that even this latest devaluation he is saying is a good thing (I will never ever read his blog ever again – right)! Who is my marketing carrier? You see that this is a Korean Air flight but has a DL number in front of it just like in the example Delta.com shows us above. But what if we look out say into October. 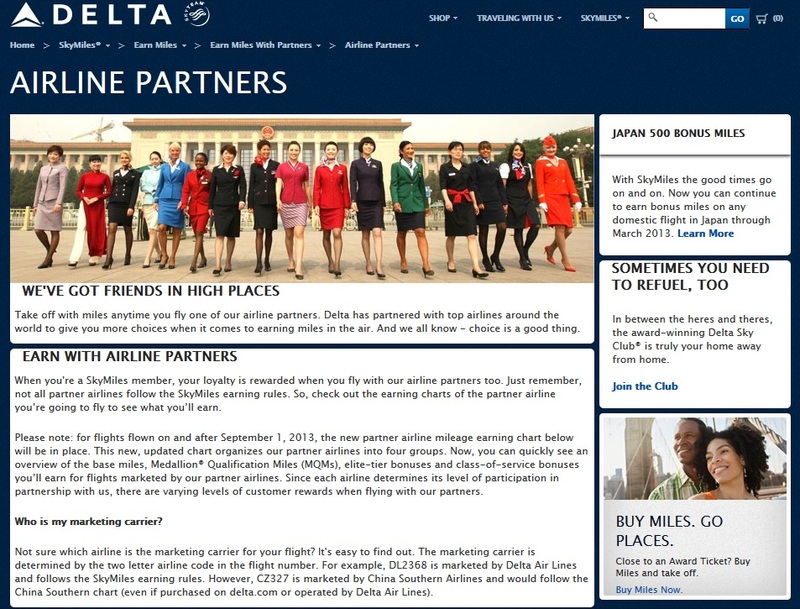 Does Delta.com tell us we will earn MQM’s and Skymiles (RDM’s)? Delta is a business. They could (and they may still do it) totally hack and slash the award chart for cheap tickets. They are giving you a way to earn FULL credit as long as Delta can get a “piece of the pie”! Airline margins are slim. Can you not see the Delta accountants saying this arrangement will mean the difference of a profitable partnership or not to DAL shareholders? ← Barclays’ – NO – Barclaycard Arrival World MasterCard for you! Oh come on Rene DL is good enough at spinning things themselves they dont need your help. @Del – Do you work for free? No? BTW, if you read the post, to the end, you see the total picture. Generally I like your stuff, even as a former heavy DL-flying FB elite. But really? Businesses are NOT about take, take, take. They are about making money. And god forbid if that means looking at a spreadsheet that contains something other than expenses. Slagging off partners in entirety (see: Korean) is NOT how you do things. But then again, neither is putting a few hundred Memphians out of work. But it’s just business, right? (I tried to find the drunk smiley face with its skirt over its head in an alley but no dice). @Seb – I agree the pull out of MEM is harsh. They are taking care of the employee’s but not MEM itself. It was so sad to see CVG last time I was there as a shell of what it once was. But as your other points, everything, I mean everything, is a profit center for Delta. We will see what choices are good and what drive flyers away to AA or UA but to me those choices are worse that what we have here (for now)! You’re like the John Gruber of airline blogs. At least you don’t look like you live in your mother’s basement. @Drew – had to google who that is and my mom lives on the top floor of her condo in Sweden (the basement is all sectioned off for storage and is packed – I could never live there)! Sweden doesn’t have many, if any, condos in most of the country and certainly not in the nicest parts of this country. The law allowing condos in Sweden is pretty new and barely implemented. Cooperative housing associations are rather distinct from condominium legal structures, in the US and in Sweden, and hopefully your mother is aware of that. On the core element of the topic, DL’s codeshares on the likes of KE tend to be ridiculously expensive compared to buying the KE-coded-and-operated seats on the same flights. DL is really out to fleece its customers and doesn’t mind if its Skyteam partners get shafted as long as it gains DL management in the short term. DL SkyMiles management is as sleazy as ever. So she owns a share in the housing cooperative, a share which entitles her to her own specified flat/apartment due to a specific ownership stake in the cooperative housing association? In a condominium, the owner ownsthe actual abode, while under the Swedish cooperative structure the ownership is of a right of use rather than a direct ownership right of the property itself. It also has a bearing about what happens when and how financial troubles hit or don’t hit. I am just curious, because I don’t know anybody in Sweden who owns a condo yet, but I know lots of people — family included — who own shares in housing cooperatives and “own” apartments or other real estate that way here. Even Swedish real estate (residential and/or commercial) attorneys seem to have almost no exposure to condominium contracts..
Perhaps more importantly, do Delta marketed flights (but operated by, say, KE) earn MQDs as well? I remember only DL revenue would earn MQDs…. 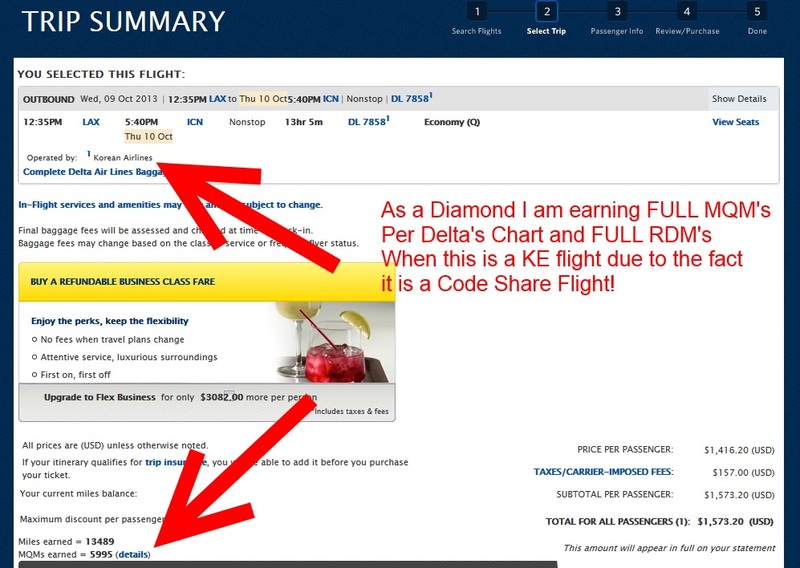 @ps – per delta site if you buy any flight starting with “DL” you are on Delta’s earning page! @ps – as I and others point out the cost can be higher for codeshare. That stinks! Pretty sure this post confirms that you are a delta employee and this entire site is propaganda from your  company. Woah – why all the abuse? I totally agree with your post René. 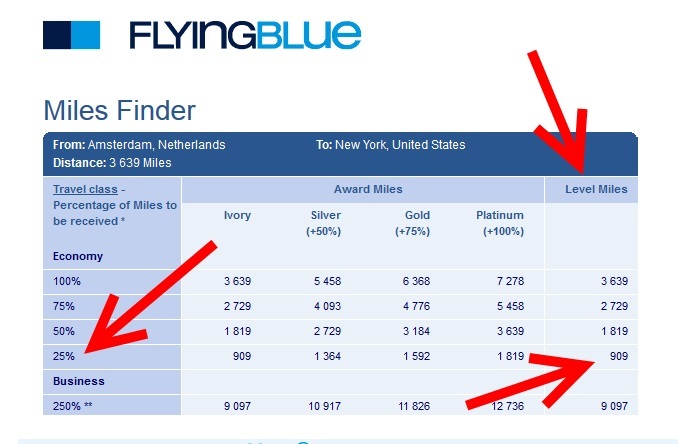 As a UK-based flyer with ties to Skyteam (I fly out if LBA and there wasn’t a BA service from there until recently) I switched from FlyingBlue to SkyMiles a couple of years ago due to the low level of elite miles offered on discount fares. I’d rather earn 100% by flying one of the Group 1 airlines or booking on DL stock. And all those Skypesos? 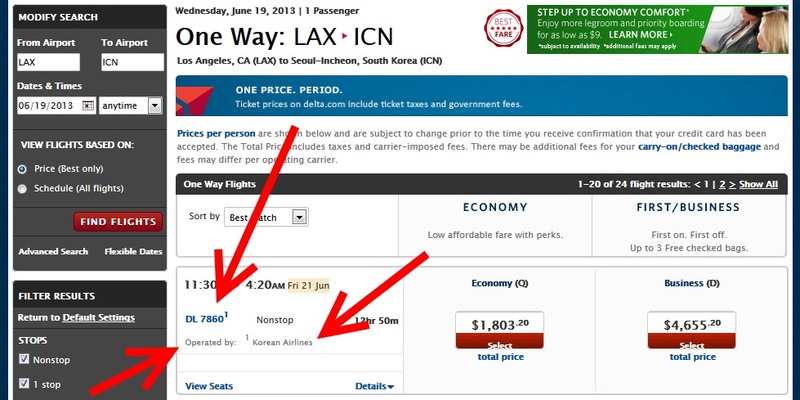 They just paid for business class LAX-PER-MEL, SYD-LAX on VA. Thanks for the blog René. Keep up the good work. For KE operated flights, the DL codeshare will tend to be expensive, way more expensive than the cheapest KE-coded-and-operated flights. Given the “Fly America” requirement, the US taxpayers get  big time when federal government employees or other relevant government-funded passengers fly on DL-coded flights operated by foreign carriers instead of flying on the foreign carrier code on the very same DL-codeshared flights. Was wondering when you would post about the change as I was really curious to see your reaction. Not shocked by the corporate apologist angle, but hey at least you managed to find a silver lining! Me, I’ll keep flying Delta when its cheapest, but credit to Alaska, where they value their elites. There is not a DL code on every KE flight. And assuming that the fare is the same whether DL or KE coded is setting yourself up for disappointment. In short, you’ve built a world where you’re trying to convince yourself (and others) that the change isn’t so bad by depending on partial and misleading information. Good luck with that plan. Yes, you have totally lost your mind. Thanks Rene, as a Rookie,I am still learning. Now the delima, I assumed that I could give 2 Gold Medallions when I reached Diamond(Estimated to be September). Learning that I could only give 1, I do not know whether to give it to a friend who travels a lot for Chili competitions and could use it or to my wife who is a silver but travels with me 99% of the time. If our chances of upgrades for both improve if I give her Gold (she is now silver), that would be my decision. If not, I would give the gold to my best friend. Thanks Rene, it does help. My friend does not travel to Chile; he is a former World Champion Chili cook and travels troughout the Country for competitions. As a Lifetime Silver, he was penalized when Delta began charging Silver’s for baggage since he always has a bag of equipment. @mike – 🙂 ah my life as a dyslexic – then silver is a very nice gift. Oh boy… well, yes, I actually don’t see this as too tragic since the only partner I ever fly on is KLM. But it does make me paranoid about the future … I’ve hedged my bets and gone Silver on United so I have something to fall back on if this really gets much worse…. I think it’s high time for a Star+Skyteam+Oneworld comparison again given all the changes!